Half Moon Bay, northern Tasmania. Collected dead by diver in shallow water reef rubble. The rare "true" N. subcarnea. This is a great specimen with good color, distinct marginal spotting and noticeable transverse ribbing across the dorsum. 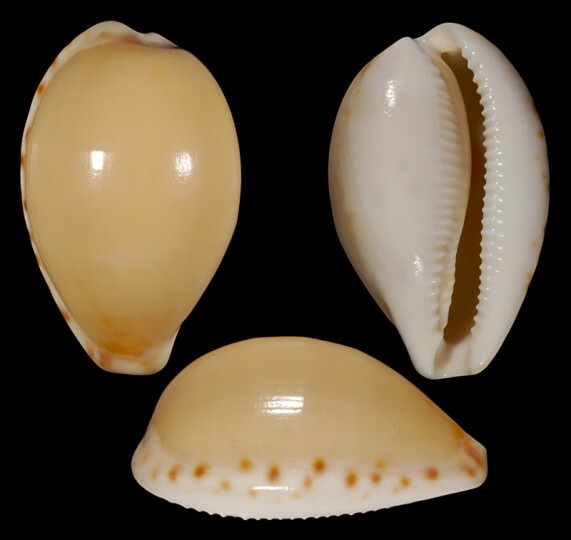 A large shell, missing in most collections which instead usually have mis-labeled N. comptonii f. casta.